Apple has started selling their new smartwatch, the Apple Watch Series 3. There are two models in the range one with GPS and one with GPS and Cellular and the device comes in two sizes, 38mm and 42mm. The latest Apple Watch Series 3 is now available in the UK and other countries. Prices for the GPS model start at £329 for the 38mm model and £359 for the 42mm model. Prices for the GPS and Cellular model of the new Apple Watch start at £399 for the 38mm model and £429 for the 42mm model. If you go for the top model which is the Apple Watch Edition that features a ceramic casing, this is going to set you back £1,299 for the 38mm model and £1,349 for the 42mm model. 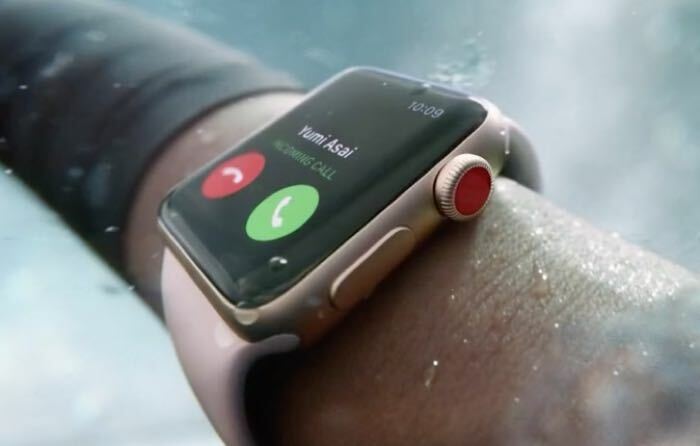 You can find out more details about the new Apple Watch Series 3 over at Apple at the link below, the device will also be available in Apple’s retails stores from today.